For the past 18 months I’ve been toying with the idea of taking on some regular contributors for Bootcamp Ideas. My final test was to see what quality of the content potential writers would share when there was something at stake ( in this case prizes aka money). I’d like to open up some applications to become part of the Bootcamp Ideas team. Those that make it through will be submitting one article a month to be a part of our Monday workouts and ideas. I have big plans for Bootcamp Ideas in the next 5 years. My goal is to make it more than just a website and instead a hub for all things group fitness and support for fitness business owners. But not in the way the big organisations trying to offer that do. I’m thinking epic self-development courses to help you break free of your limits and make the business you dream of. I see Bootcamp Ideas Convention – a convention just for group fitness trainers. I see small personal mastermind retreats with business and training experts for those who really want to take things to the next level. What about a marketing course that goes against every single ‘bikini body’ advertisement and gives you even more clients? And every step of the way, business owners can get online support and training from hundreds of other trainers just like them at The Trainers Tribe. 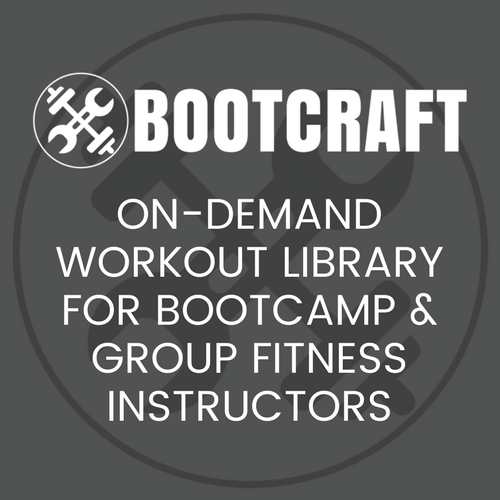 I want Bootcamp Ideas and The Trainers Tribe to become so big that the fitness industry will either join us in a revolution to make fitness awesome, non-shaming and empowering or be left behind. This dream I have though is far greater than one man. I need a team of people just as excited about this as me. For now I’m just opening the position up to two people. There was three, but one spot has already been filled. If you make it through, we’ll trial things out for a couple months and see if you are a good fit. The position can be done from home so your location is not a problem. Successful applicants will also get a behind the scenes look at how a successful online business runs. The positions will be filled as I find people who are a good fit so don’t wait to get your application in. To apply fill out this form. Like I said, I will be reading applications, interviewing and accepting people as the applications come in so don’t wait around to apply if you are interested.